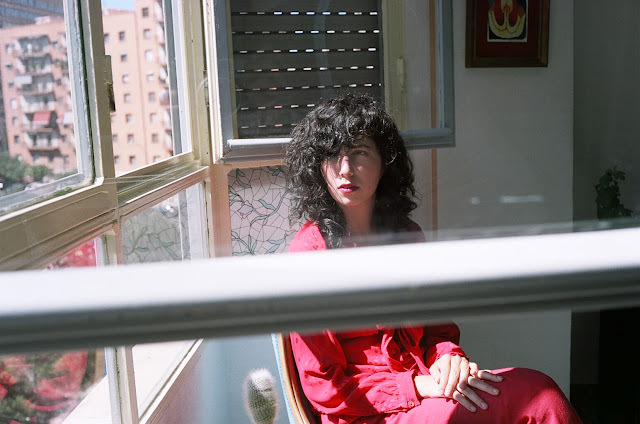 Maria Usbeck released her solo debut album, Amparo, on May 27. Check out the track "Uno De Tus Ojos" from the album below. Maria Usbeck's solo debut, Amparo, is a collection of songs written and recorded across the span of three years in Ecuador, Buenos Aires, Santiago, Barcelona, Lisbon, Easter Island, Costa Rica, Florida, L.A. and her home in Brooklyn. Though the songs were composed electronically, Amparo called for an acoustic treatment, so Usbeck (former frontwoman of Selebrities) spent a winter in the studio recording the arrangements live with producer Caroline Polachek and engineer Miles Benjamin Anthony Robinson.